Holding 70ml of ink in each of the four bottles, the black bottle can provide up to 4,000 pages of crisp black and white prints, and the colour bottles up to 6,500 pages each. The compatible T664 inks are packaged in their own individual boxes so if you're not ready to use it straight away you can store it for up to 6 months without its quality being affected. 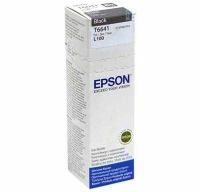 Epson Ink All Colors T6641-B,T6642-C,T6643-M,T6644-Y Holding 70ml of ink in each of the four bottles, the black bottle can provide up to 4,000 pages of crisp black and white prints, and the colour bottles up to 6,500 pages each. The compatible T664 inks are packaged in their own individual boxes so if you're not ready to use it straight away you can store it for up to 6 months without its quality being affected. Type & Colour - This multi-color cartridge ink comes in a set of four colours. The four colours are black, cyan, magenta and yellow. 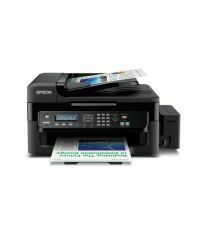 It is ideal for colour printing. It has a high refill success rate. This reduces wastage of ink and helps you save a lot of money. 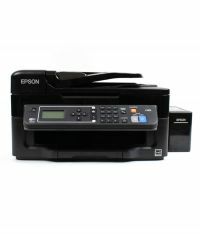 It is best suited for printers that print using inkjet technology and delivers premium quality prints with very accurate colours. 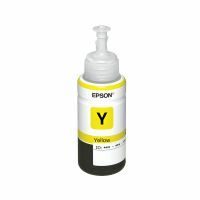 Maximum Input Capacity - This Epson Multicolor Cartridge Ink comes in a quantity of 60 ml each. Being small in size, it gives a moderate input capacity. 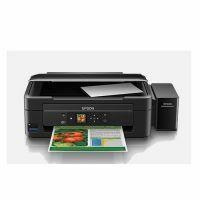 This cartridge ink with inkjet print technology is ideal for printing images that are vibrant with true to life colours. 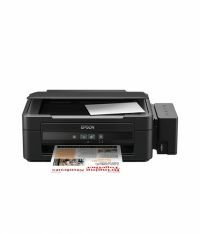 Compatibility - These multi-colour cartridges from Epson are compatible with the Epson printers that use inkjet printing technology. The models it is compatible with are as follows: L100, L110, L200, L210, L300, L350, L355 and L550. 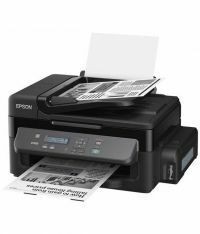 It gives the best results if used only with Epson printers. This long-lasting cartridge ink is guaranteed to give you the best printing experience. 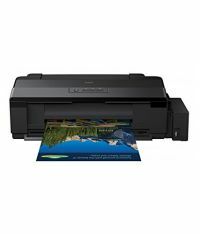 It also reduces reprints, thereby reducing the wastage of ink and paper. 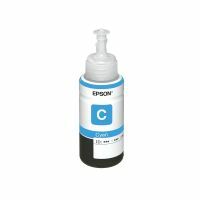 Reliability - This Epson Multicolor Cartridge Ink is water resistant. This implies that the ink does not smudge on the paper if it comes in contact with water. It delivers high-quality prints on glossy paper too. 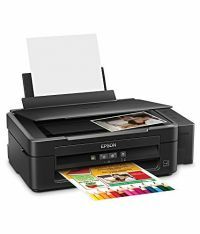 Thus, it can be used to print photos on photo paper. It dries up quickly ensuring that the ink does not smear on the paper after it is printed. Other Features - This durable cartridge ink is here to serve you for a long time. It saves you the trouble of frequently replacing your cartridge. 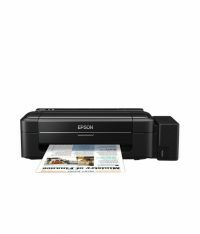 Get your Epson printer to work at its highest efficiency with this Epson Multicolor Cartridge. 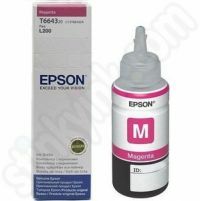 To Recieve updates and possible rewards for Epson Multipack of Compatible Epson T664 Ink Bottles please sign in. To Recieve updates and possible rewards for Printer Cartridge, Ink & Toner please sign in.